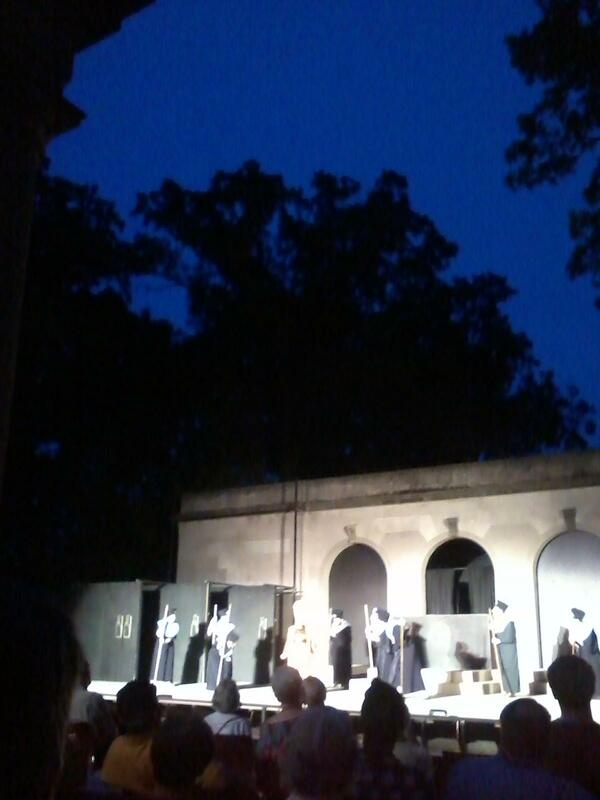 I attended a double-header performance of Greek tragedies on Sunday evening. It was my first experience of a Genesius Guild performance. The wind was rustling through the crowns of mature trees at Lincoln Park, in Rock Island, Illinois. Revelers nearby lit the occasional firecracker, getting ready for the Fourth of July, and birds sang in the trees. I wasn’t sure what to expect. Thunderstorms are the leitmotif of the week here. Rumor has it the show goes on even when it rains, unless there is lightning. But the rain held off and it was a magical evening. According to Quad-Cities Online, the two plays performed, The Suppliants and The Persians, were written by the Greek writer, Aeschylus, in 463 B.C.E. 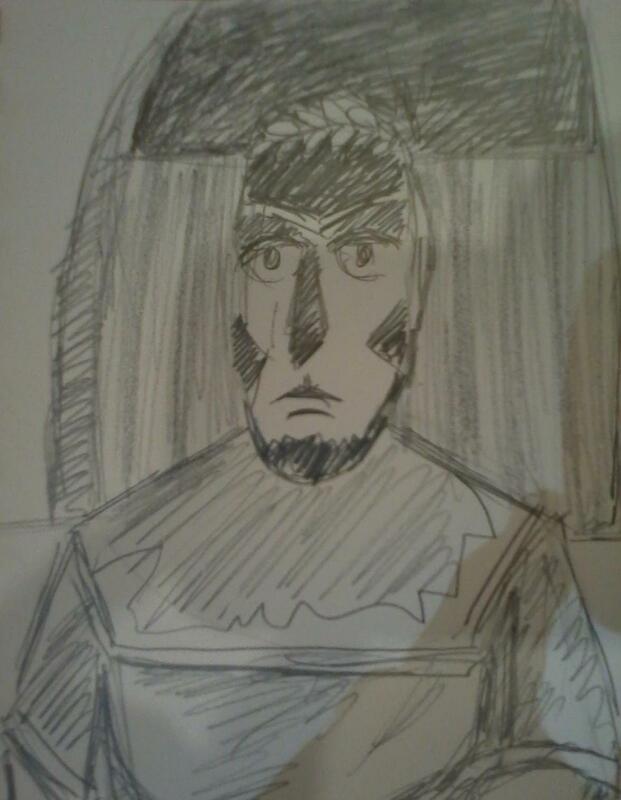 and 472 B.C.E. respectively. The Suppliants was performed first and addressed the still-relevant theme of forced marriage and the subjugation of women. The Persians is the oldest surviving written play. There was not a lot of action/moving about on stage, but the jewel-like costumes in the gloaming light and the stories kept my attention. The story line was delivered by the mostly stationary chorus, a group of robed figures. The main characters of import wore over-sized masks and were distinguished by their colorful outfits. There will be two more showings of The Suppliants and The Persians, this coming weekend, July 5th and 6th, at 8:00 p.m., in Lincoln Park, Rock Island, Illinois. 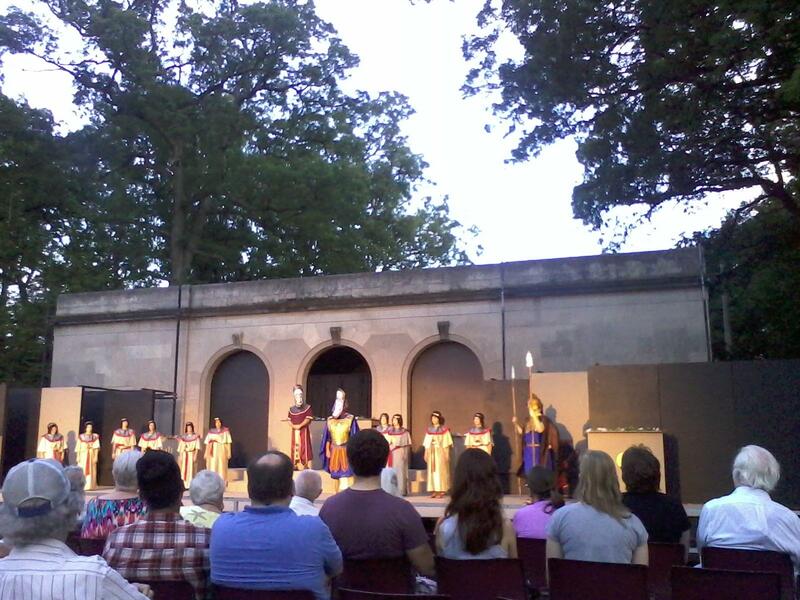 The Genesius Guild will be performing Shakespeare’s Twelfth Night next, starting on July 12th. There was a request for financial support made in the announcement before the Greek shows. The Genesius Guild has recently lost some funding and, without significant donations, has only enough in its coffers to continue for about two more seasons. It would be a shame to lose this community treasure. If you can give time or money, I’m sure the Genesius Guild would love to hear from you.